Betty’s Garden Memory Care Coming to Kewanee! Peoria, IL – Petersen Health Care officials recently announced they will be introducing memory care to the Kewanee area this fall. 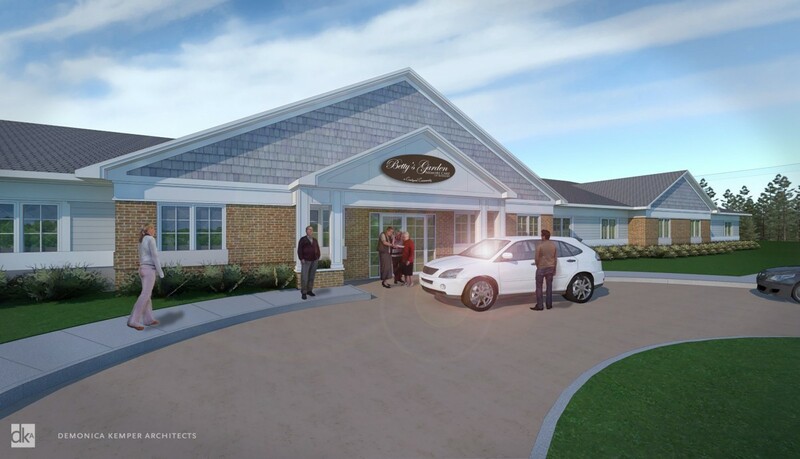 According to Doug Currier, VP of Operations for the Peoria, IL based, Petersen Health Care Assisted Living Division, the new Betty’s Garden Memory Care will be the first of its kind to our area. The new facility will including housing for 24 tenants and includes two separated areas for 12 tenants on each wing. Currier added that the new Betty’s Garden, named in the memory of his mother Betty, who suffered from Alzheimer’s for many years, features specialized programming that until now has not been available in the area. Additional technology has been added that will supplement the 24-hour engagement model that features a computer based memory care module that provides person-centered care for each individual. “Coming Home“ is a comprehensive enrichment program for Betty’s Garden, which is designed to ensure an all-encompassing, fulfilling experience for every resident. It fosters daily interaction with residents of Betty’s Garden in these areas: creative / expressive, physical, social, cognitive, and emotional / spiritual. Coming Home utilizes a hands-on approach to daily engagement where the act of doing enforces memory and physical health; sparks creativity and expression; promotes social interaction; and ensures overall well-being. The Coming Home schedule provides structure and depth to the home’s daily routine, with the opportunity to individualize activities based on each resident’s uniqueness and the distinctive atmosphere of each home. Coming Home provides a sense of consistency and balance, uses cues to establish different times of day and rotates busy times with periods of rest. Set routines help create an almost automatic motion, and reduce stress and worry for residents, families, and caregivers. In addition, each of the wings have their own private courtyard, nicely landscaped for enjoyment by both those living in the Betty’s Garden community and their families. The new concept has been extremely successful since inception inside of the CYE of Bushnell. “Betty’s Garden Memory Care has been added to our new constructions in Knoxville and Farmington and most recently added to the services provided inside of the Courtyard Estates in Walcott”, Currier added. The company has further plans to add the programming into all new developments. The new Betty’s Garden Memory Care is still under construction but is expected to be open this fall. It will be located on the Courtyard Village property and can be accessed from Acorn Street South off of Page Street. The addition of the new facility compliments the existing Assisted Living properties Courtyard Estates and Courtyard Village in the neighborhood as well as Kewanee Care Home. An additional 18-20 new jobs are expected to be available with the new services. There will be positions available for nurses and certified nursing assistants, all with specialized training required for this type of care. 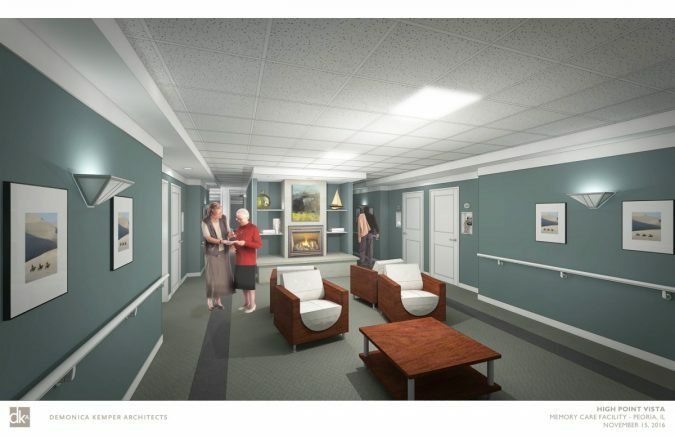 The building will have a beautiful modern look and feel and will include the latest concepts designed for caring for those who require this level of care. Services include specialized programming for those suffering from Alzheimer’s Disease or related dementia, around the clock engagement, activity plans, well-balanced nutritional planning, medication management and much more. The company is planning an introduction of the new services in the near future and will be providing education in the area designed for both families and caregivers alike. Additional information on this education will be communicated over the next several months. Petersen Health Care, the area’s leader in senior living, began in 1974 with two nursing homes, Kewanee Care Home and Robings Manor in Brighton, IL. PHC now operates nearly 100 senior facilities including Skilled Nursing Facilities, Assisted Living communities, Supportive Living Properties and Independent Living Communities. Since 1974, PHC has added Courtyard Estates, Royal Oaks Care Center and Courtyard Village Independent Living and Villas in Kewanee. The Kewanee senior facilities employ over 250 full and part-time positions.